Tri-Toon with 150 HP Mercury 4-stroke! 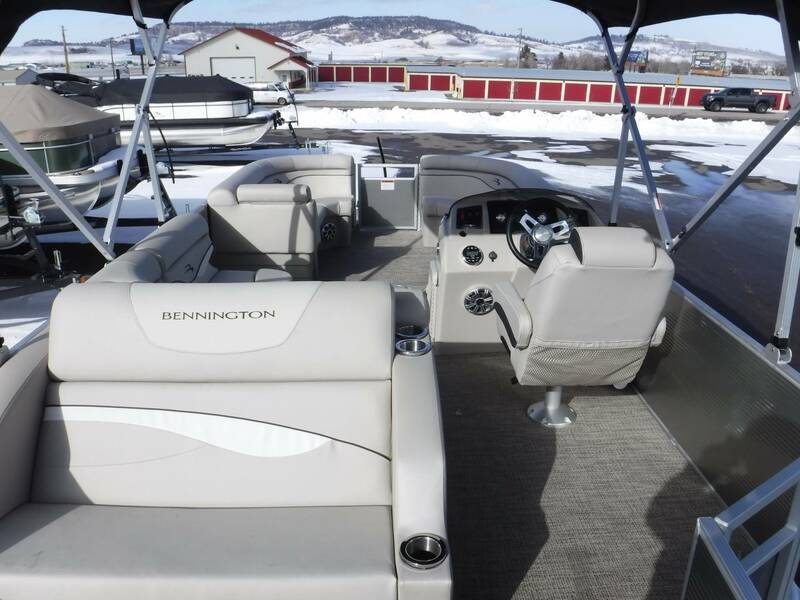 The Bennington "Buy Early and Save" event is saving you $3500 off the price on this model! 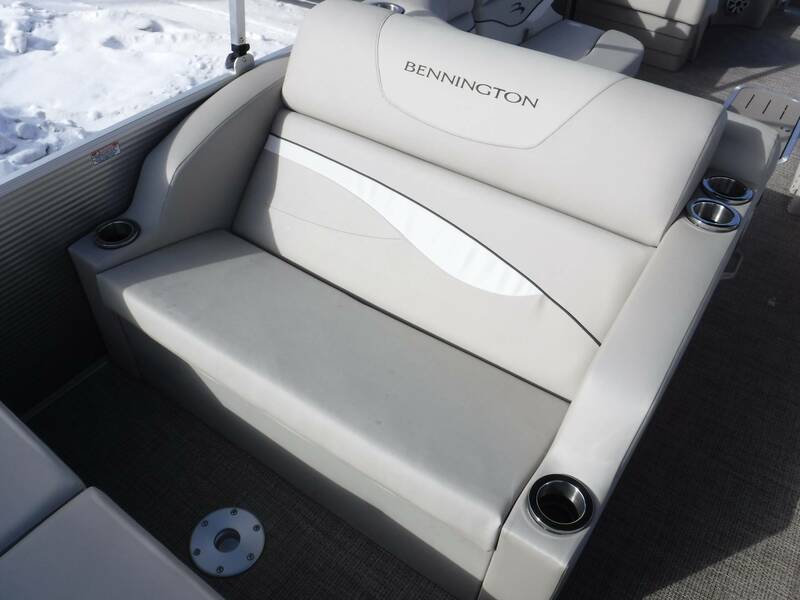 Purchase before Mar 24th to take advantage of these extra savings! This Silver Metallic color scheme is easy to keep clean, and includes Sandstone soft-touch interior with Carbon Diamante seat accenting. 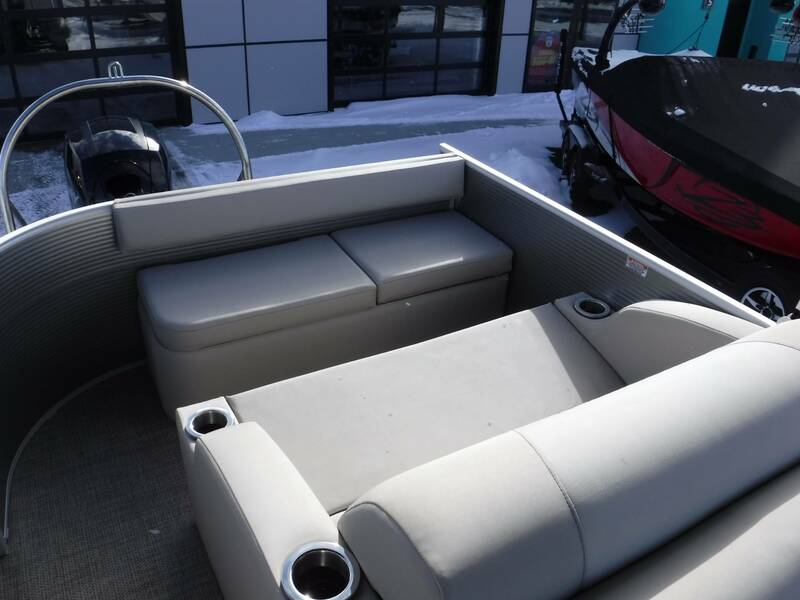 It features a rear-facing dual-lounger that can be configured as a dinette area, but also has padded seating facing forward as well. 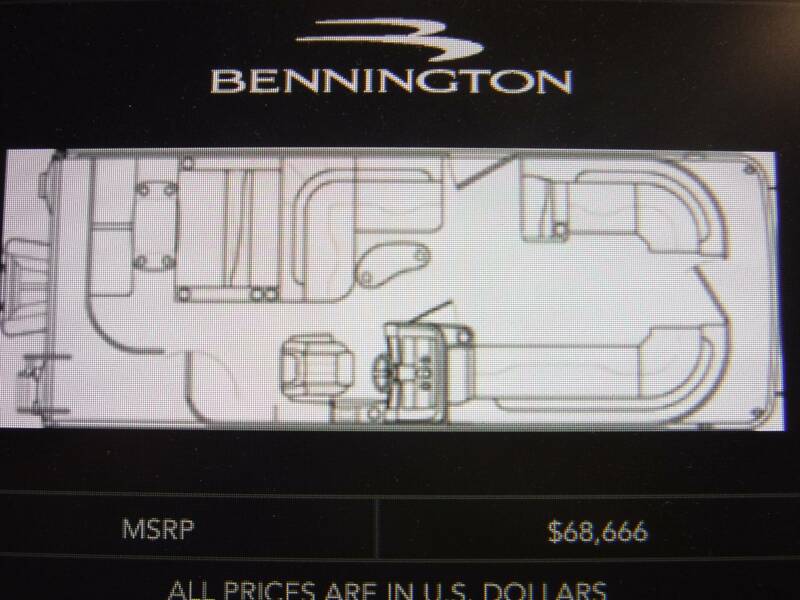 One of our best-selling layouts! 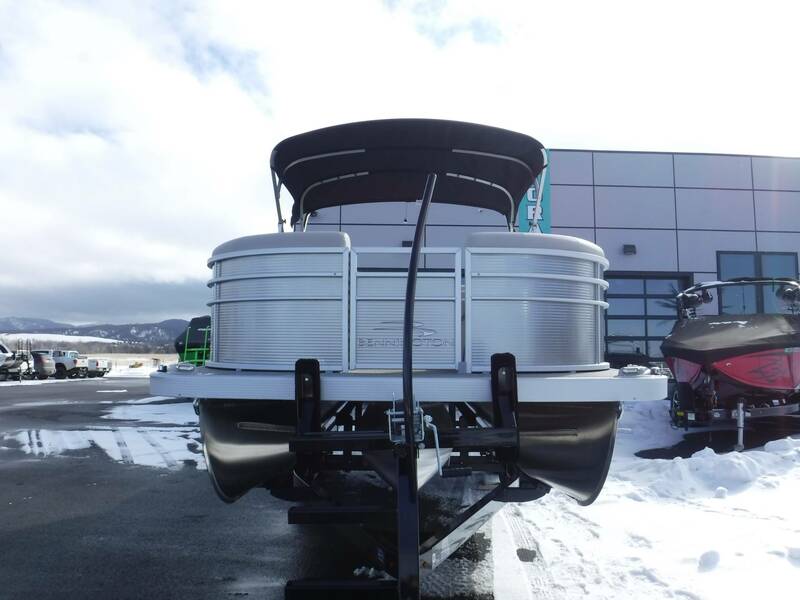 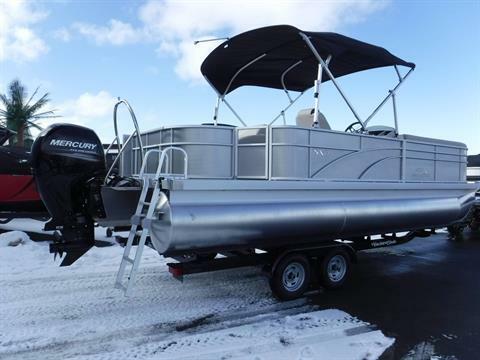 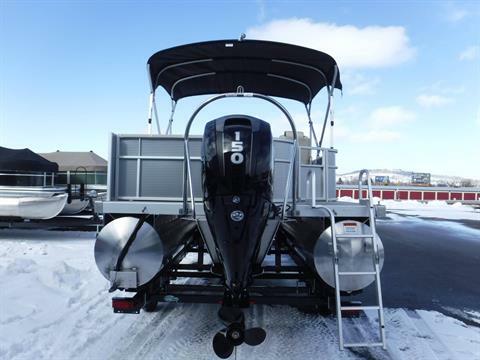 This one includes the Mercury 150 HP 4-Stroke motor that is ultra-quiet and great on fuel, plus powerful enough for any and all watersports! 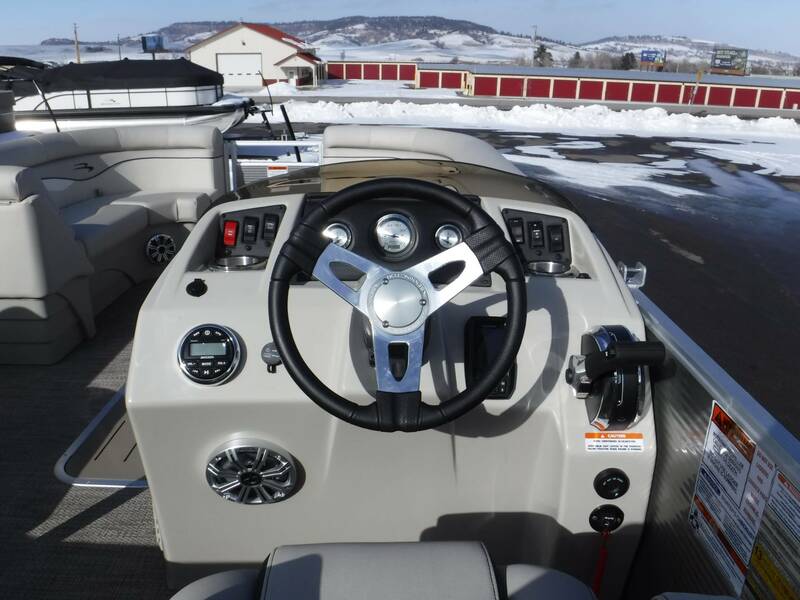 The hydraulic steering option with tilt helm makes it easy to steer and provides the pilot the option to skipper from a seated or standing position. It has the TriToon package (with In-Floor Storage) for maximum lift and top speeds, full under-deck WaveShield for a quiet, smooth ride without surging, and a built-in fuel cell. 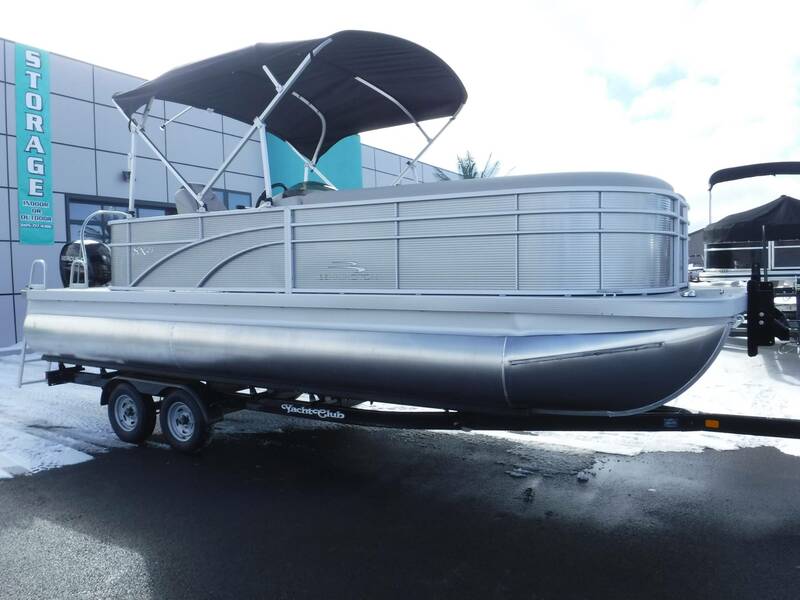 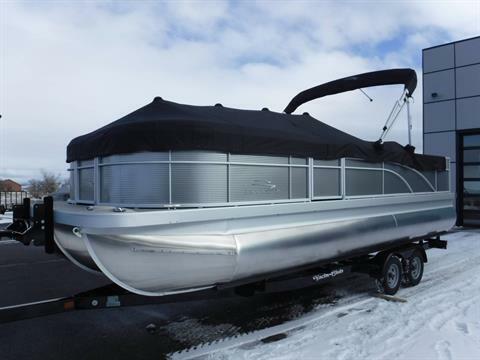 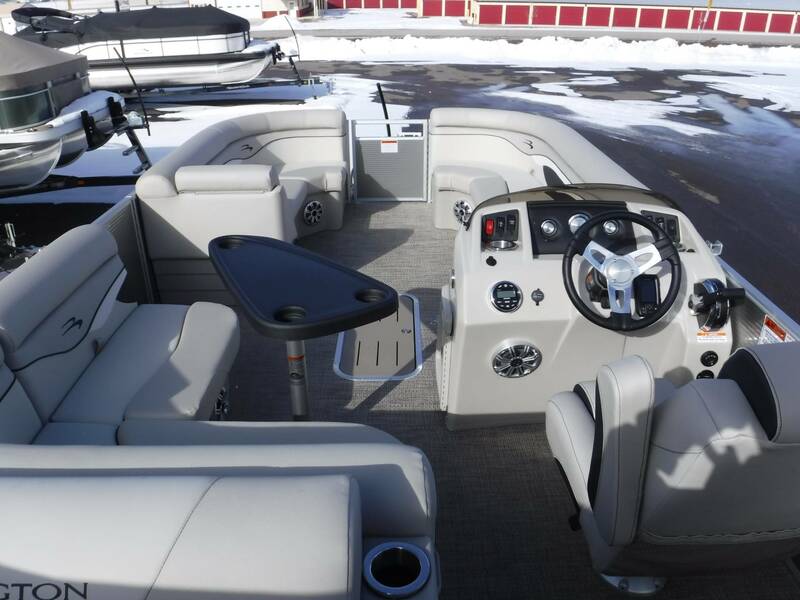 Other options: (2) Chaise Lounges facing forward, docking lights, SeaGrass Slate flooring, upgraded Kicker speakers, Blue Ice illuminated Bimini Top, Upgraded Reclining Captain's Chair, HUGE in-floor storage, upgraded Zebrawood table, stern rail combing pad (backrests), and a ski tow bar for towing! We know this isn't a fishing model, but let's say you want to fish once in awhile... 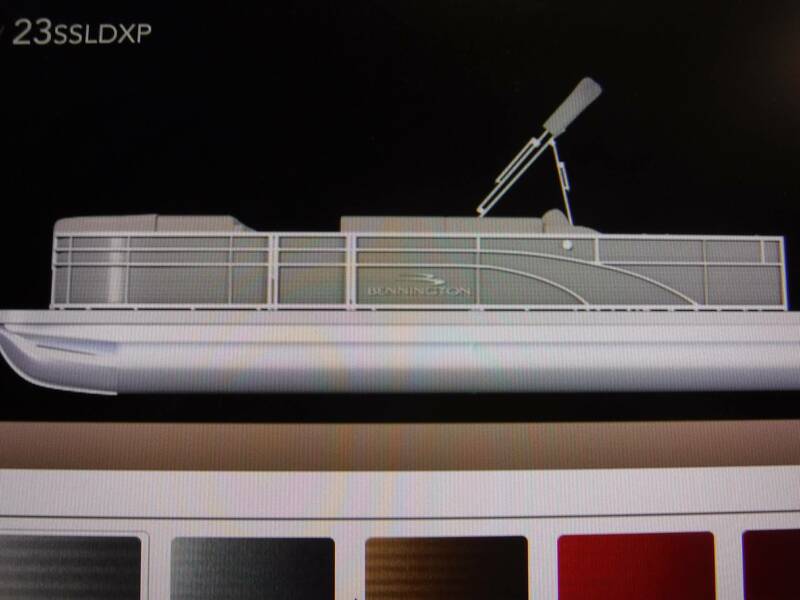 It is equipped with a depth/fishfinder built into the dash, and an aerated livewell to keep your catch healthy. If you don't want fish in your boat, the livewell can double as a cooler with a drain at the bottom! 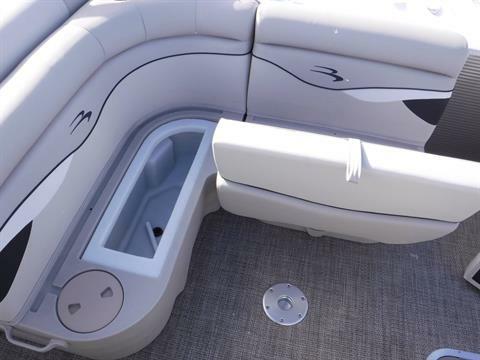 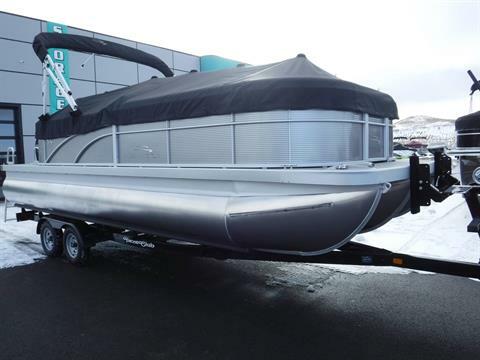 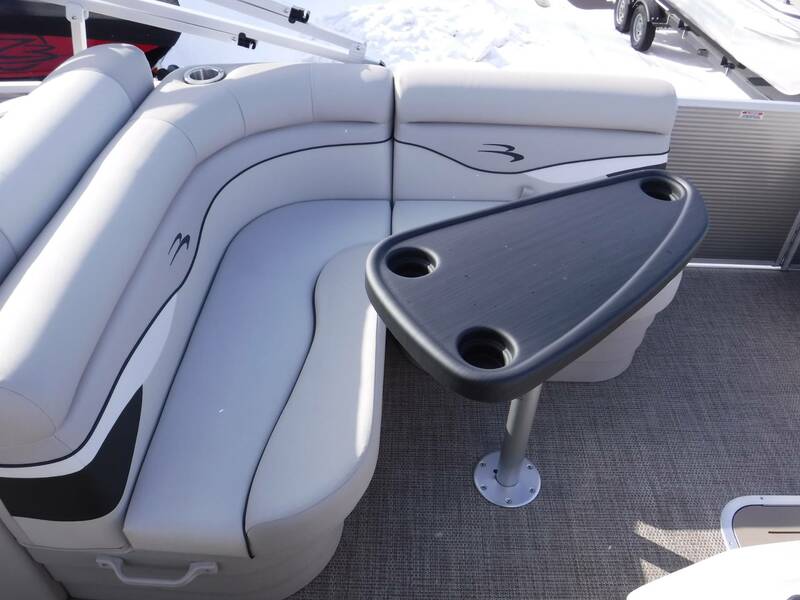 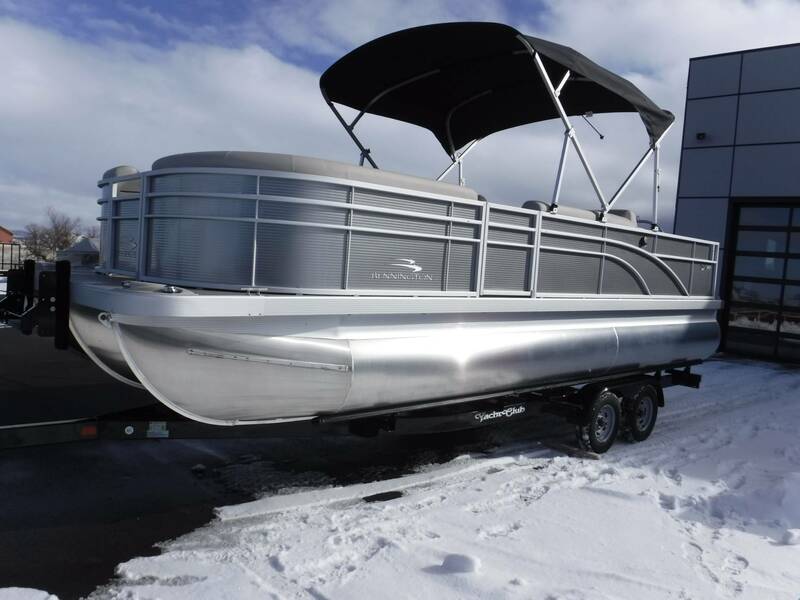 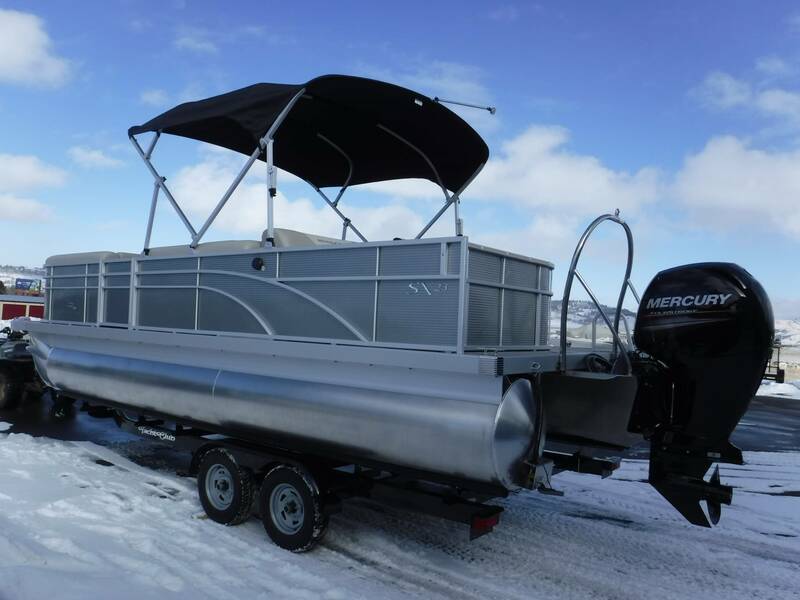 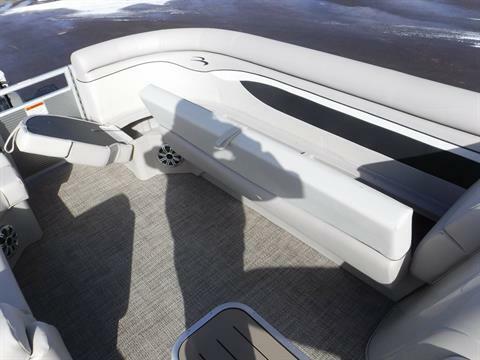 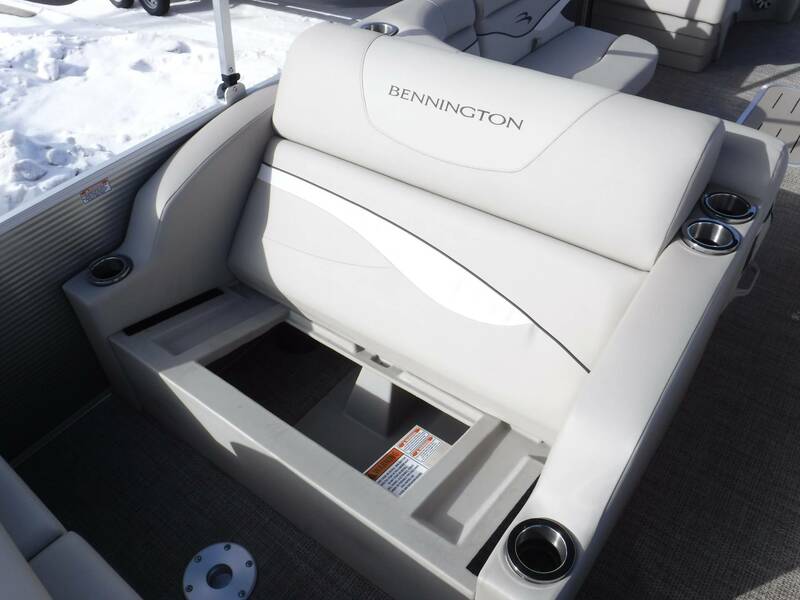 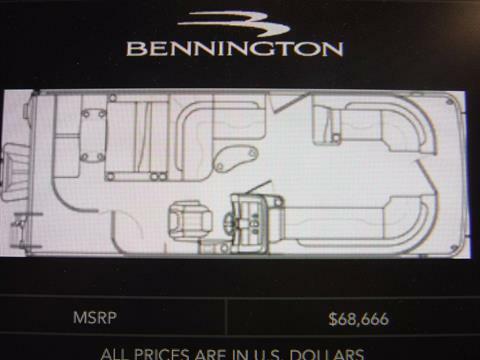 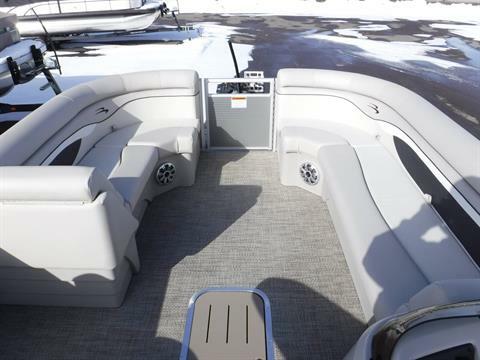 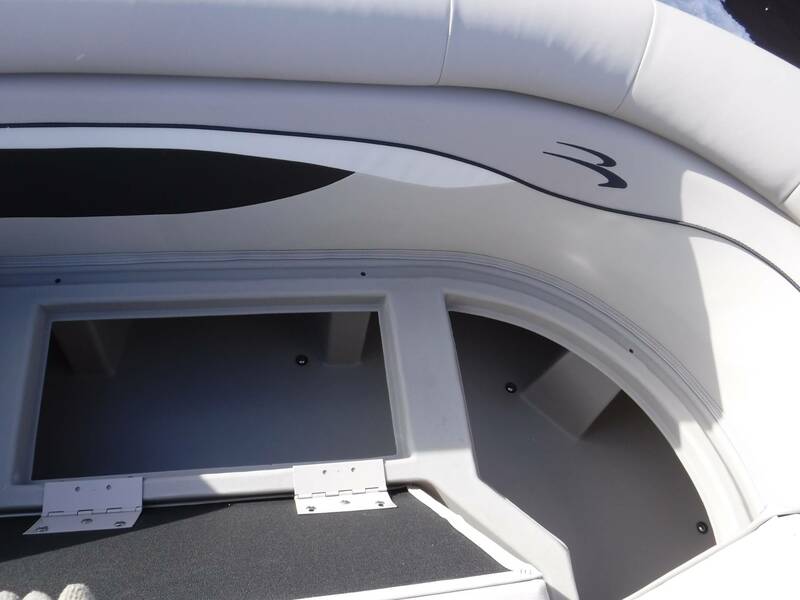 A custom snapless cover is INCLUDED with every new Bennington pontoon from RecStation.net.